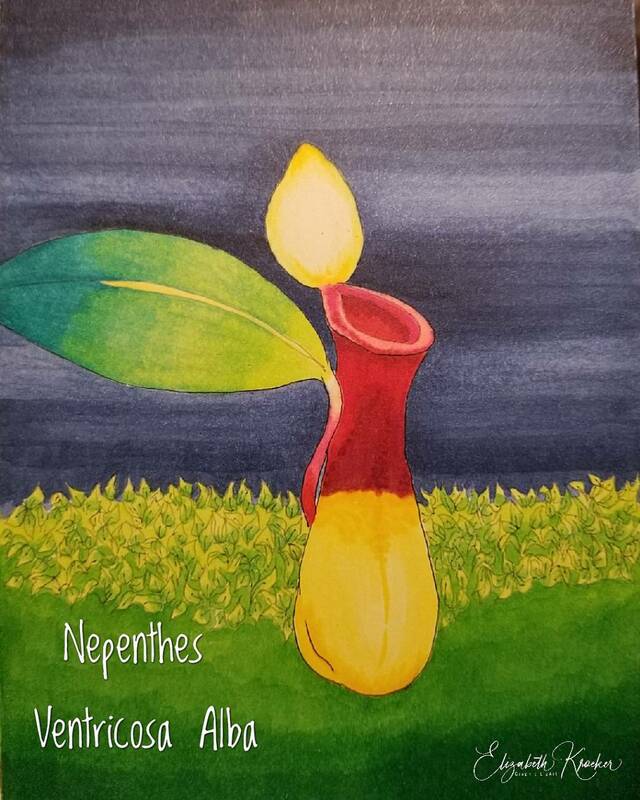 My new drawing of Nepenthes Ventricosa Alba- cultivated by select CP enthusiasts in Japan. I like the indigo and the middle red of the pitcher slightly bent in the background. It is watercolour ? roarke wrote: I like the indigo and the middle red of the pitcher slightly bent in the background. It is watercolour ? Thank you. Actually it is all ink. Alcohol ink. It blends so well it's like painting.